The person who wants to enjoy a real firm smoking experience must buy the cannabis seeds of this type that is specially developed by Sensi Seeds. The Shiva Skunk carries the name “Destroyer” with verve so this variety is not meant for wimps. The person who wants to enjoy a real firm smoking experience must buy the cannabis seeds of this type that is specially developed by Sensi Seeds. The Shiva Skunk carries the name “Destroyer” with verve so this variety is not meant for wimps. Shiva Skunk has arisen by combining the key strengths of the NL#5 and the Sk#1 together and the cannabis seeds that originated from this crossing offer such a strong smoking sensation that the Shiva Skunk now is a brand name that does not raise any doubts with the cannabis connoisseurs across the world. These weed seeds are more than worth the cultivation! From the moment Shiva Skunk was introduced on the market after its development, it became clear that Sensi Seeds had some real gems in their hands. The decision to completely feminise these cannabis seeds is therefore not surprising. Convenience is everything and of course most growers do not want to look for useless male plants during the process that will then be thrown away on the compost heap. The crossing brings out the best nature has to offer in the plants originating from the cannabis seeds: a great resin production and a scent that refers to the humid Indian forests. However, the observant grower will also notice the citrus aroma radiating from the dense buds. Smoking the end product – the actual cannabis – is not something you should just do between coffee and lunch. The Shiva Skunk deserves enough time to enjoy it. This is typically a variety that should be smoked while in good company. The connection experienced in friendship is deepened and the effect of the Shiva Skunk invites to philosophise about life. The heavy, creamy smoke provides an additional element of cachet to the whole. Beginners may have some trouble recognising the value of the Destroyer the Shiva Skunk actually is. 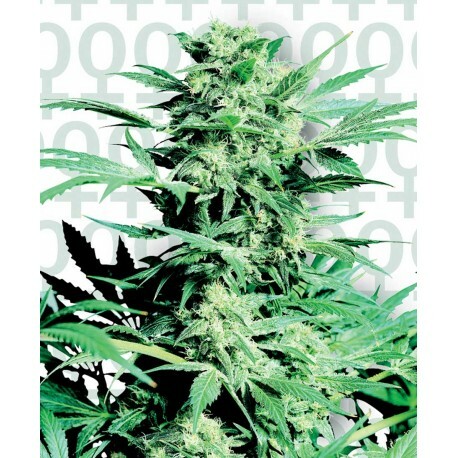 Buying cannabis seeds and growing weed seeds whereby you are only satisfied with the best and not make any concessions on quality: that is the thought behind the Feminised Shiva Skunk cannabis seeds.